The countdown to PANTO TIME has well and truly begun at the Towngate Theatre! OH YES IT HAS! 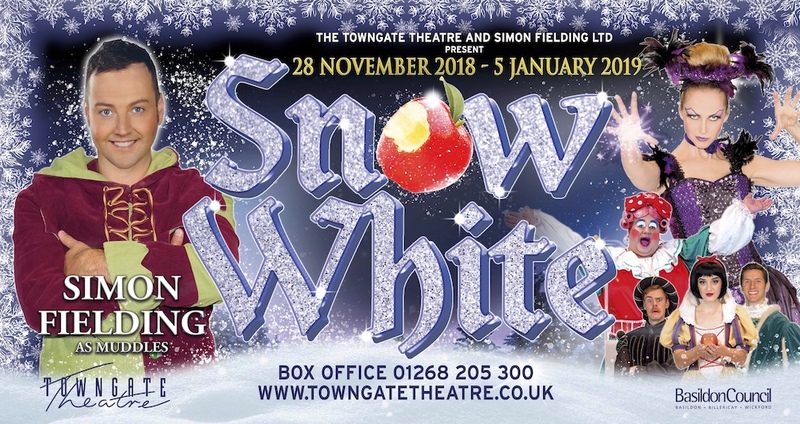 This year they are proud to present the magical tale of Snow White, running from Wednesday 28th November 2018 to Saturday 5th January 2019 - and we have tickets for the family plus, £200 to spend on a meal of your choice to be won. Following the record-breaking success of Towngate Theatre's spectacular 2017/18 panto, Aladdin, Snow White promises to be even bigger and better than ever before, as there is magic, mayhem and mischief in seven tiny portions. Basildon’s favourite panto stars, Simon Feilding and Sophie Ladds, will be returning to the Towngate stage, and the magnificent Dame Daniel Stockton, will be returning for a third year with more madcap mayhem and side-splitting silliness!